Just letting you know that there was an ad here, but it's been blocked. If you like this website and want to support it, please consider whitelisting me. If you want to know more about the ad first, go ahead and scroll down to the "What's up with the ad?" section on the homepage. Want to use WTP data on your site? The following JSON feeds are available for you to use. 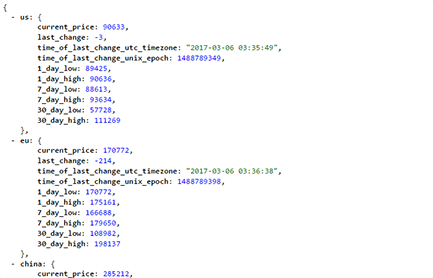 The WoWTokenPrices.com Data Feed is released under the "Open Data Commons Attribution License". You can read the full license in it's entirety here. For those of you who don't speak "legalese", a human-readable summary of the license can be found here. It is my top priority to keep WTP data as up-to-date as possible. That being said, things happen so keep in mind that the data is provided as is. 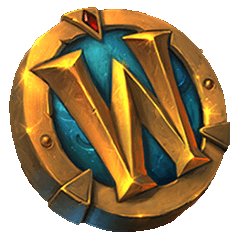 Please include a link to WoWTokenPrices.com if you use the WTP Data Feed on your site.